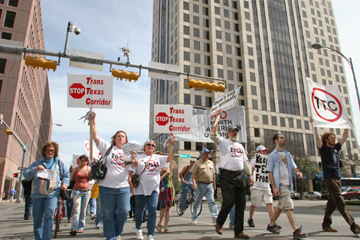 A traffic jam of opposition is facing the Trans-Texas Corridor. The Trans-Texas Corridor, the Goliath of Texas road projects, is taking a real bruising from the slingshot crowd these days, with so many Davids piling up stones that critics and supporters alike are beginning to believe it may be stoppable. In the last few weeks, more than a dozen bills have been introduced in the both the Texas State and House to either stop the project cold or put enough restrictions on it to chill the interest of private investors. In late February, a state audit report revealed that millions of public dollars have secretly been spent on the project and that hundreds of millions more might be needed. 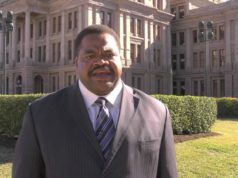 At least one legislator is considering calling for an investigation of the Texas Department of Transportation. And thousands of opponents from around the state showed up last week in Austin to march in opposition to the giant toll-road proposal and to testify against it at a public hearing. State Rep. Lois Kolkhorst of Brenham has introduced two bills that would effectively kill the TTC. One would “repeal … authority for the establishment and operation of the Trans-Texas Corridor”; the second would prohibit public pension funds from being invested in private toll roads — cutting billions in funding that private toll road builders would probably try to use to raise capital. And powerful State Sen. John Carona of Dallas, chairman of the Senate Transportation and Homeland Security Committee, has introduced 10 bills that together would severely curtail private businesses’ interest in building toll roads. Among them is a measure requiring that the price paid for land taken under eminent domain be established by three disinterested voters who live in the county where the land is located, rather than by a judge. Another would limit the length of a toll-collecting contract held by a private entity to 30 years, after which the highway would become a free road. Other bills would limit toll rates rather than letting private companies set them at will, eliminate the “no compete” clauses in toll road contracts that many believe would hamper the state’s ability to maintain and improve other roads, and tie the state gas tax rate to the amount needed for highway building and maintenance, to ensure that tax funds rather than tolls could be used for those projects. Gilbert said that in light of the auditor’s report, Kolkhorst may ask the attorney general to investigate TxDOT over the subterfuge on TTC spending. She could not be reached for comment. Proponents of the TTC say it remains the answer to Texas’ current and future transportation problems. Williamson, the commissioner, has insisted, publicly and repeatedly, that with Texas’ population expected to double in the next 30 years and with the shortfalls the state is facing in highway funding, allowing private corporations to build and run toll roads is the only possible solution. 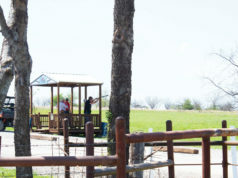 His sentiments were echoed by former Fort Worth Mayor Kenneth Barr, currently a member of the TTC advisory committee. “There’s just not money available to build all of the roads that we need,” he told the Weekly. “That means that goods will not move efficiently and people will not move, and there’s a cost associated with that.” However, he said, the transportation agency has done a poor job communicating that to the public. “There is an awful lot of dialogue that needs to be held that hasn’t been held,” he said. 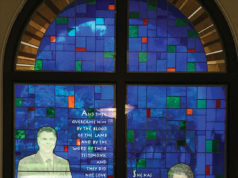 Staff writer Eric Griffey contributed to this story.